On Purim we give money to at least two poor people, and this gift can be given through a community representative–such as Minneapolis Jewish Federation. This gift is a special mitzvah, not to be included in the amount of money a person sets aside for charity during the rest of the year. Minneapolis Jewish Federation works in partnership with organizations around the world, like the American Jewish Joint Distribution Committee (JDC), the world’s leading Jewish humanitarian assistance organization, to improve the well being of vulnerable people in Israel and more than 70 countries. To see how donations make a difference, read about Tatiana and Bronisalv receiving food and supplies—sometimes by sled—in the bitter cold of Ukraine. Closer to home, programs like Jewish Family and Children’s Service (JFCS)’s Kosher Meals on Wheels, ensure that vulnerable seniors have both Kosher meals and daily check-ins from a friend, right at home. To read about one such participant, click on Harold’s story. We can’t feed Tatiana or Harold without your help. In honor of Purim, give today. 2. 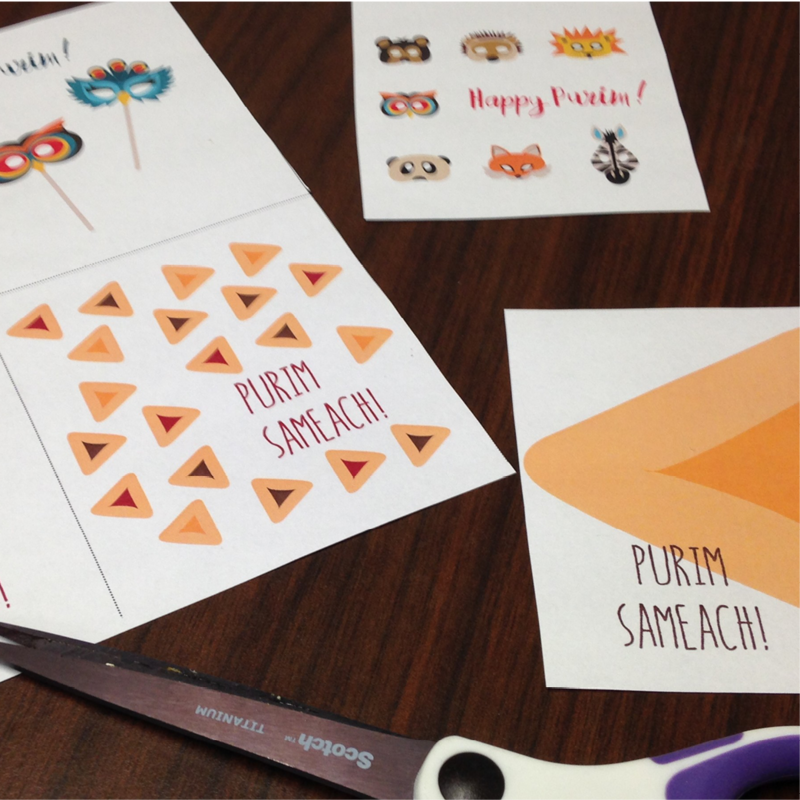 Give Mishloach Manot to friends, and use these fun printable gift tags to share the joy of Purim! Mishloah Manot means, “sending of portions” in Hebrew; on Purim we gift food and drink to family and friends. Minneapolis Jewish Federation has a way to make your hamentashen plate a little more special–adorable gift tags. Simply package your gifts, print and cut these cute tags, and you’ve got Purim wrapped up!